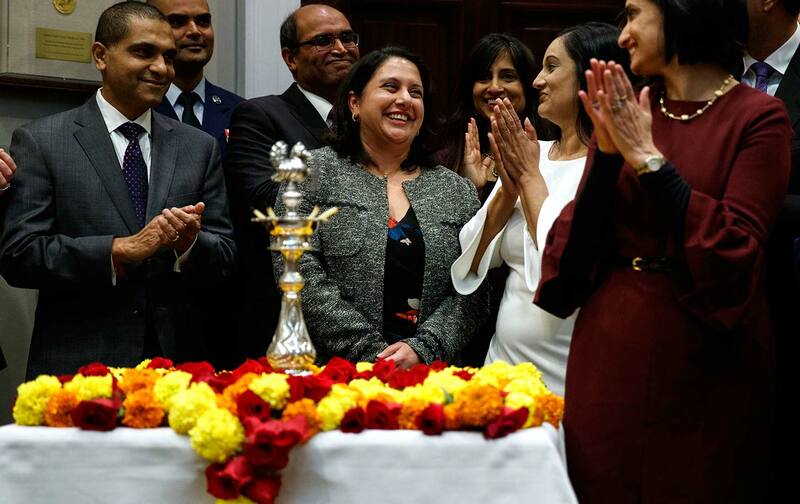 President Trump has nominated Neomi Rao, a hard-right judge, to take Brett Kavanaugh’s seat on the United States Court of Appeals for the District of Columbia Circuit. In addition to accusing LGBT youth of following a “trend” and claiming welfare is for the “lazy,” Rao has demonstrated extreme hostility to survivors of sexual assault. This week’s Take Action Now shows you how to resist Rao’s nomination and gives you ways to help mitigate the effects of the continued government shutdown. No plan for ending the government shutdown can pass without Senate approval, but majority leader Mitch McConnell has refused to budge on the issue of wall funding. Sign this petition to ratchet up the pressure on him and other Senate Republicans to immediately end the shutdown without preconditions. In the mid-1990s circuit-court nominee Neomi Rao wrote that if a woman “drinks to the point where she can no longer choose, well, getting to that point was part of her choice.” Rao has been remarkably consistent in her political views since her younger days: For example, one of her first moves as head of Trump’s Office of Information and Regulatory Affairs was to suspend the implementation of a regulation requiring companies to report pay by race and gender. After Kavanaugh’s devastating confirmation, we can’t let this woman take his place:call your senators today and demand they vote NO. As the government shutdown continues past its 30th day, President Trump jeopardizes more essential programs, impacting not just federal workers but myriad vulnerable families across the country. As of Sunday, the government can no longer make any more food-stamp payments to low-income people who need them in order to feed their families. Help prevent families near you from going hungry by signing up to volunteer at a local food pantry, or donating to a food bank in heavily hit Native American communities.